This panda is head over heels. With hearts bursting out of their eyes, you just know this panda is looking at someone they love. Send this to someone you love if you can’t be near them. 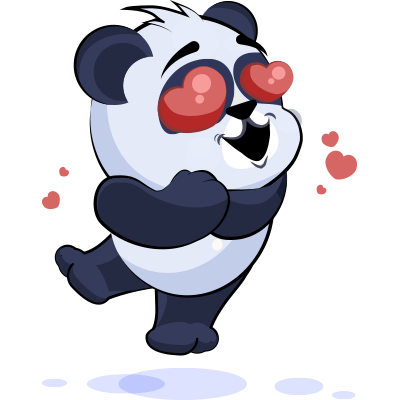 Let them know you’re thinking of them with this cute panda sticker. Whether your significant other needs some support and love, or you just want to let them know that you care, this sticker expresses exactly how you feel.